All-Purpose Micro Cord - Polyester And Nylon Construction, Rot Resistant, 100-lb Test Strength - 125’ | BUDK.com - Knives & Swords At The Lowest Prices! Our All-Purpose Micro Cord is so versatile that you can use it for any sport or hobby and it is perfect for jewelry makers and crafters. 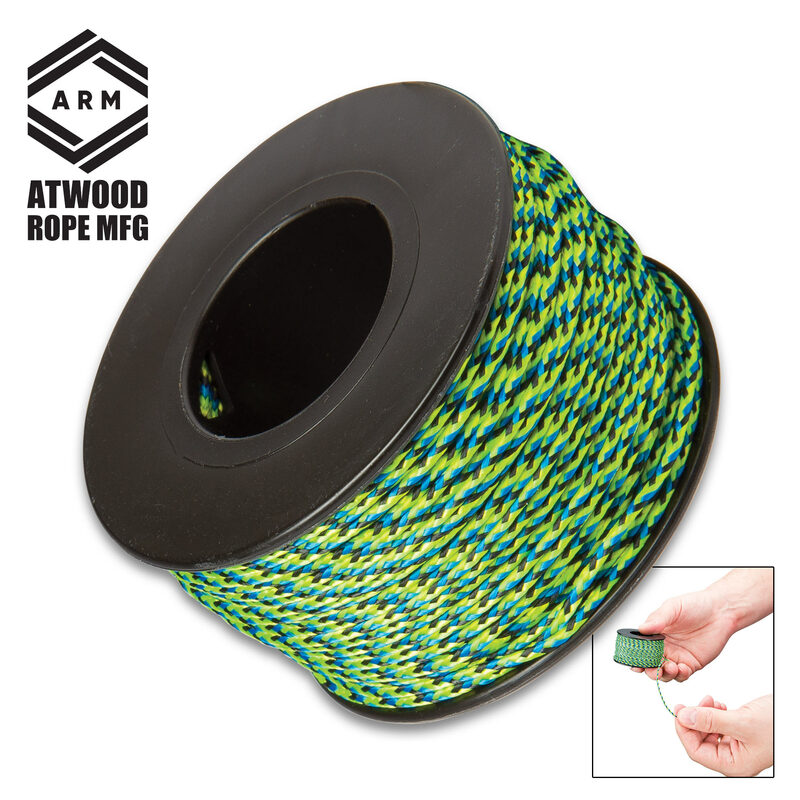 The lightweight and strong rope is made of polyester and nylon and has a tensile strength of 100 lbs. It is UV, rot and mildew resistant with a color that will not run or bleed. Drop one in your camping gear, bug-out bag, kitchen drawer and vehicle!